Senior managers from organisations across the East Midlands spent a whole day learning more about Army leadership techniques and how these can be incorporated into their workplaces. Exercise Executive Leader took place at Chetwynd Barracks on Wednesday (26 September), the participants were introduced to the key components of Army Leadership before taking part in several tasks that enabled them to put what they learnt into practice before concluding with one final team challenge. Lieutenant Colonel Matt Ketterer, the Commanding Officer of East Midlands Universities Officer Training Corps who organised the day, explained: “This event provides an expose into Army Leadership and an opportunity for the executives to review leadership theory and explore best practice from both the military and civilian domain. A wide range of both public sector and private sector organisations from across the East Midlands took part in the event including Chemring Defence, Consortio Security, Derbyshire Community Health Services NHS Trust, Whitehouse Construction, The University of Derby and Derbyshire County Council. Alexandrea Charles, Head of Derby Management School at The University of Derby took part in the event. She explained: “It has given me an excellent insight into the fundamental foundation of the Army, what they do but also the code by which they live which I think is transferable and applicable to any organisation. Amanda Wildgust who is Head of Employee Relations at Derbyshire Community Health Services Trust also participated in the exercise, she added: “I have done quite a lot of work with reservists and my organisation is actively encouraging reservists and ex-service to come and work for the organisation so I wanted to understand more about the transferable skills and competencies they have. 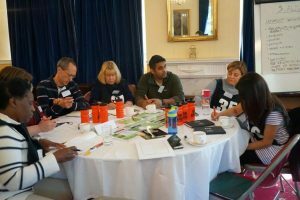 Marc Elvidge, a PLANON Administrator at The University of Lincoln, explained: “Coming to this event was a personal development opportunity and it seemed like a good way of developing my leadership skills. John Wilson, The Ministry of Defence’s Regional Employer Engagement Director, said: “We are providing an insight into the types of training that members of the Armed Forces undertake and how these skills can provide a real benefit in the civilian workplace. 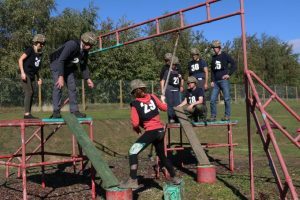 During the event participants took part in a number of tasks that required them to work together as a team including an obstacle course where they have to cooperate to succeed, a communications task where one member of the team must effectively communicate instructions to the rest and a final challenge that required them to put everything they had learnt into practice. They were then presented with certificates of achievement. Miranda Cannon, who is the Director of Delivery, Communications and Political Governance at Leicester City Council, added: “It shows leadership from a different perspective and is a good opportunity to reflect on what we are doing as an organisation around leadership and reflect on my own skills. Lucy Pearson, a Doctor at Oakham Medical Practice took part in the event. She explained: “I’m a partner so I do a lot of the management aspects and nowadays we are doing a lot more of the management internally and externally. We have quite a large team and it’s about retaining staff, inspiring them and moving the practice forward, so I thought this would be a great opportunity to develop the skills I need. 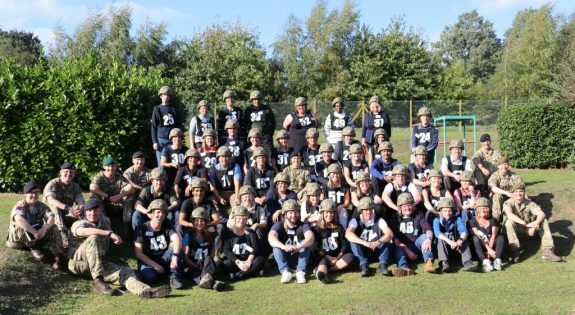 All of the organisations that took part have signed the Armed Forces Covenant and have earned a Silver Award or higher through the Employer Recognition Scheme. 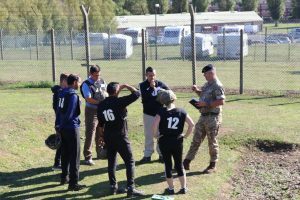 “I have done quite a lot of work with reservists and my organisation is actively encouraging reservists and ex-service to come and work for the organisation so I wanted to understand more about the transferable skills and competencies they have."